Course Website: Official Website - Visit The Golf Club at Redlands Mesa's official website by clicking on the link provided. 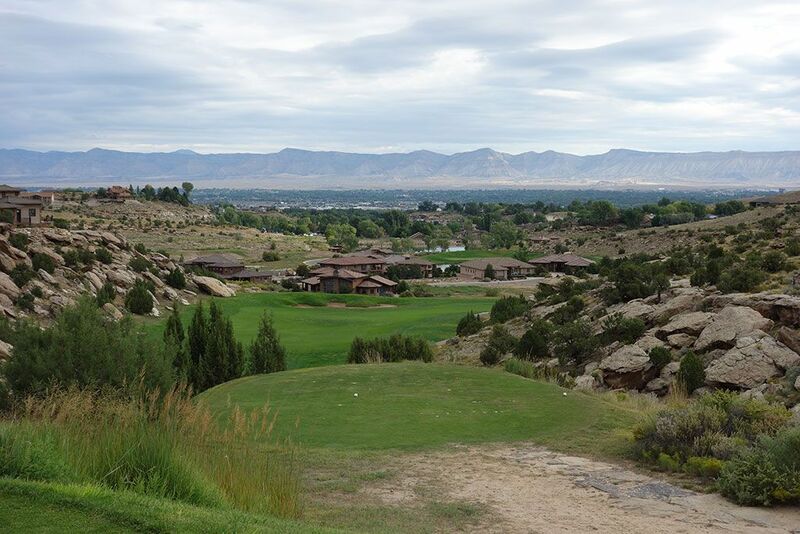 What to Expect: After Jim Engh designed Sanctuary it put him on the map as a course designer, but it wasn't until after he completed Redlands Mesa that he solidified his spot among the elite architects in the game and started turning heads of public golfers. This dramatic design was described by Ron Whitten as "a fantansy golf calendar come to life" and he is absolutely right. 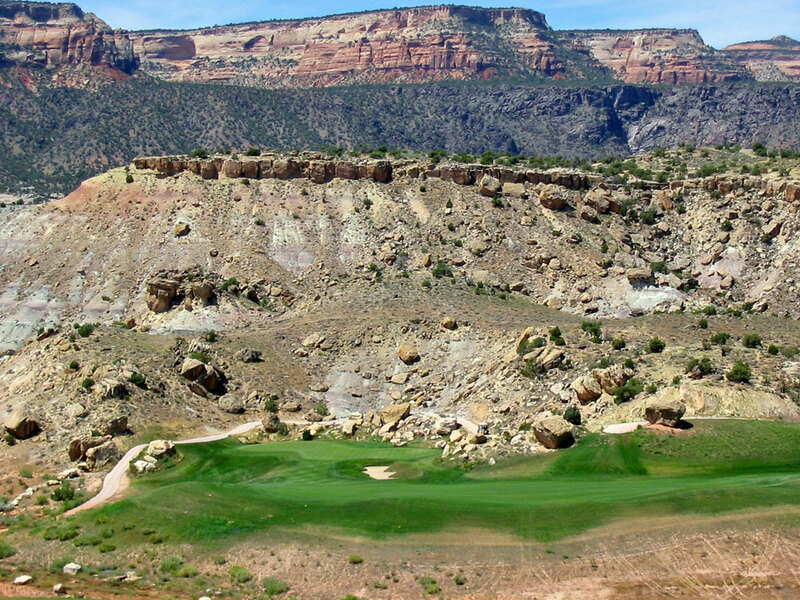 Perhaps only Wolf Creek in Mesquite, NV offers as much drama from elevated tees, colorful vistas, and sheer thrills as Redlands Mesa affords players at a public access course. If there is a public course that will make you gitty like a kid on his first trip to Disneyland, than Redlands Mesa is it. 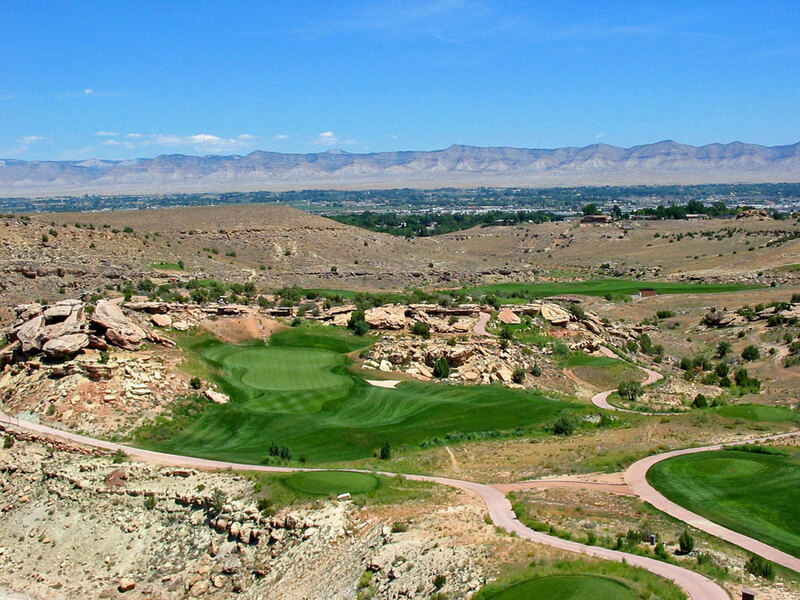 Signature Hole: 17th Hole – 218 Yard Par 3 – This par 3 is not only the signature hole of Redlands Mesa, but maybe all of Colorado. From the stunning back tee box you are afforded panoramic views of the surrounding area and a gaze at the large green set in an ampitheatre of natural rock. The amount of exhiliration from seeing your ball sore into the picturesque backdrop and down toward the green is matched by very few holes. 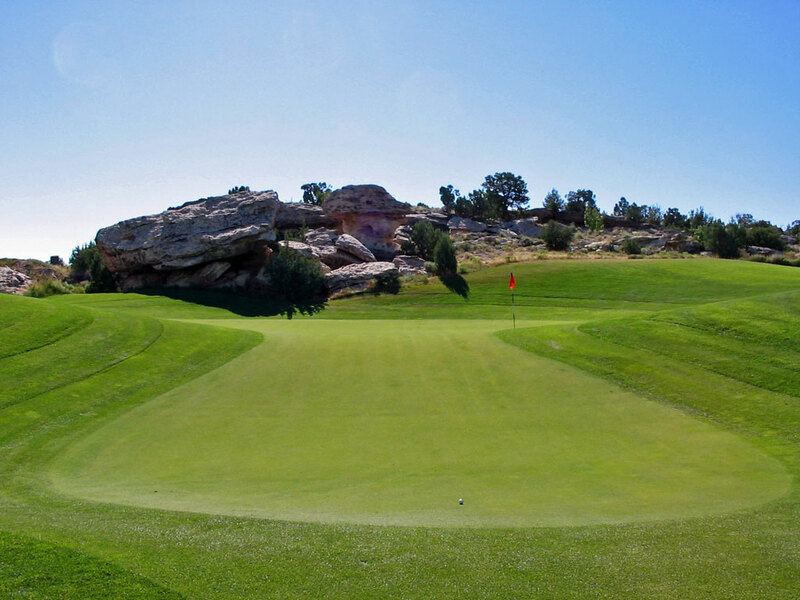 Best Par 3: 8th Hole – 164 Yards – While the 17th is clearly the most celebrated par three at Redlands Mesa, I thought it was worth highlighting the eighth hole as well. 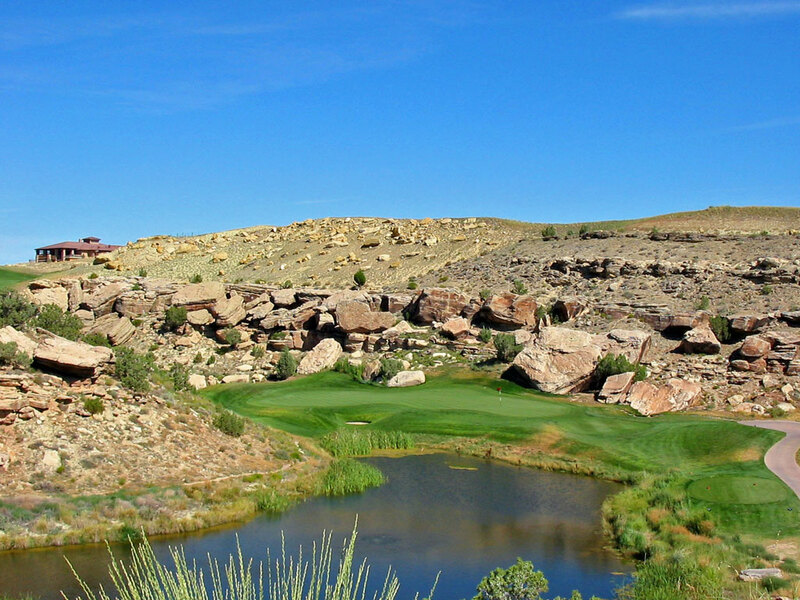 Playing just 164 yards from the tips, this postcard hole features a pond and small pot bunker in front of the green and an enclosure of natural rocks around the back. It is a pretty hole from an elevated tee that should yield some good scores in your foursome. Best Par 4: 14th Hole – 370 Yards – This may be the most controversial hole at Redlands Mesa which is one of the reasons I like it so much. There is about 300 yards straight away from the tee box to the end of the fairway before the hole turns 90 degrees right and heads to the long and skinny green. 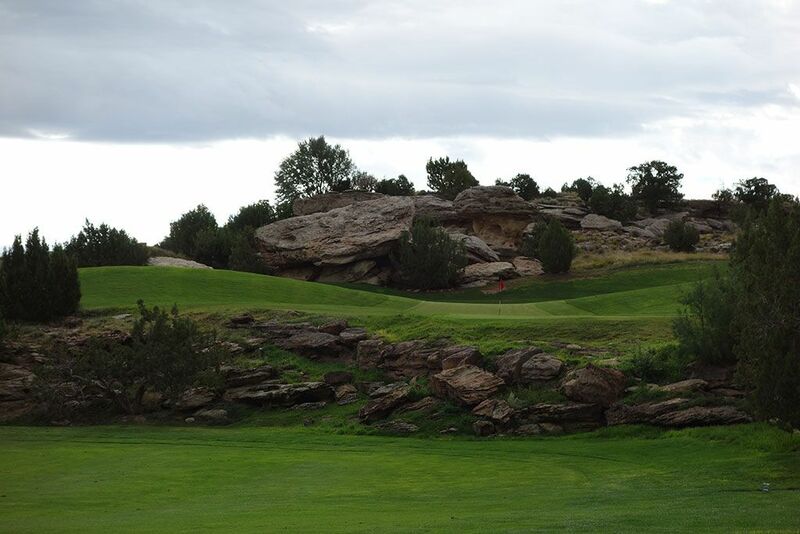 Any tee shot hit less than 280 yards will be faced with at least a partially blind approach shot and depending on the line may be left with a totally blind approach shot over the boulders sitting on the rocky hill on the inside corner of the dogleg. A gutsy play is to fire straight at the green by carrying the boulders on the fly and hoping to have enough length to reach the green or at least the surrounding grass. At this angle it would be very difficult to hold the skinny green, but a big drive could result in a simple up-and-down for birdie. Best Par 5: 5th Hole – 575 Yards – I fell in love with this hole the first time I played it because it offers a risk/reward tee shot coupled with a bold forced carry if trying to reach the green in two. The 575 yard hole starts with a downhill tee shot to a partially blind fairway below. The yardage book will tell you to take dead aim at the bunker 300 yards straight ahead but that you into laying up and not reaching the green until your third shot. A gambler will take a big swing and try and carry the rocky hill right of the fairway that will cut the dogleg and offer a chance to reach the green in two. A native area cuts through the fairway and fronts the green making for a stout challenge if attacking the green from more than 200 yards away. The small green adds some square feet with a unique "tongue" feature that acts as a first tier to the green well below the main putting surface. Even the best of putters will struggle to do better than a three putt if found on the opposite tier from the flag. It is a unique design that you won't soon forget. Birdie Time: 12th Hole – 151 Yard Par – If you want a good chance at birdie there are a couple of factors you love to have; a short distance to the green and a level lie. 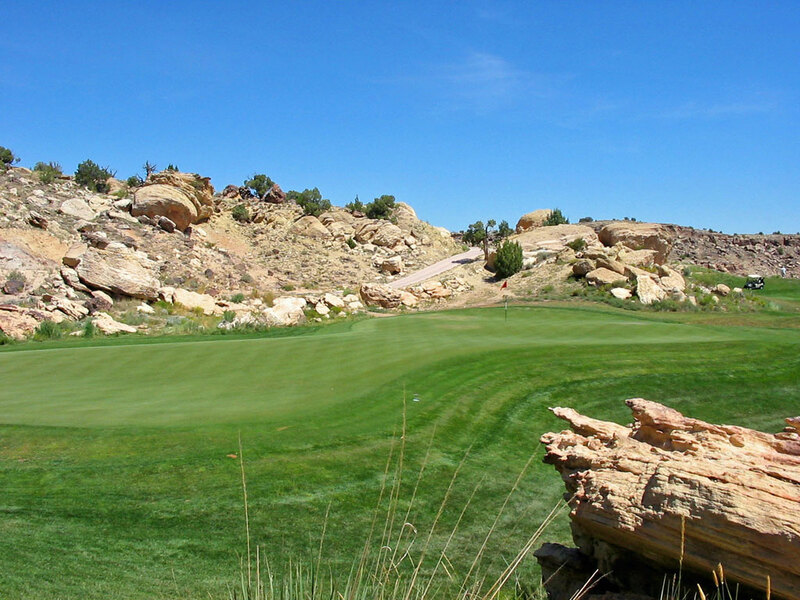 Both of those are afforded at the attractive 151 yard par three 12th hole at Redlands Mesa. The green is very wide and the sloping grass beyond the green affords some generous kicks back onto the putting surface. Whenever there is this good of a chance to have a birdie putt, scores under par are sure to follow. 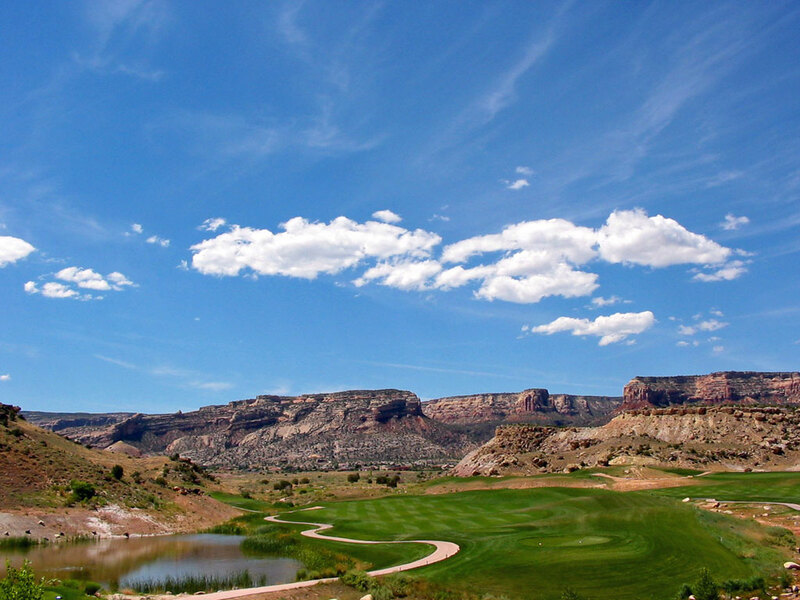 Bogey Beware: 16th Hole – 412 Yard Par – Before embarking on the signature hole 17th at Redlands Mesa you will be faced with having to conquer the challenging par four 16th. Measuring 412 yards, there is about 300 yards of fairway afforded before the hole turns sharply left and heads uphill to a 44 yard deep green that is partially blind from the fairway below. Short and left of the green is one of Jim Engh's signature features; a series of small pot bunkers. Getting caught in one of these seven pot bunkers will almost surely guarantee a bogey, and maybe worse.